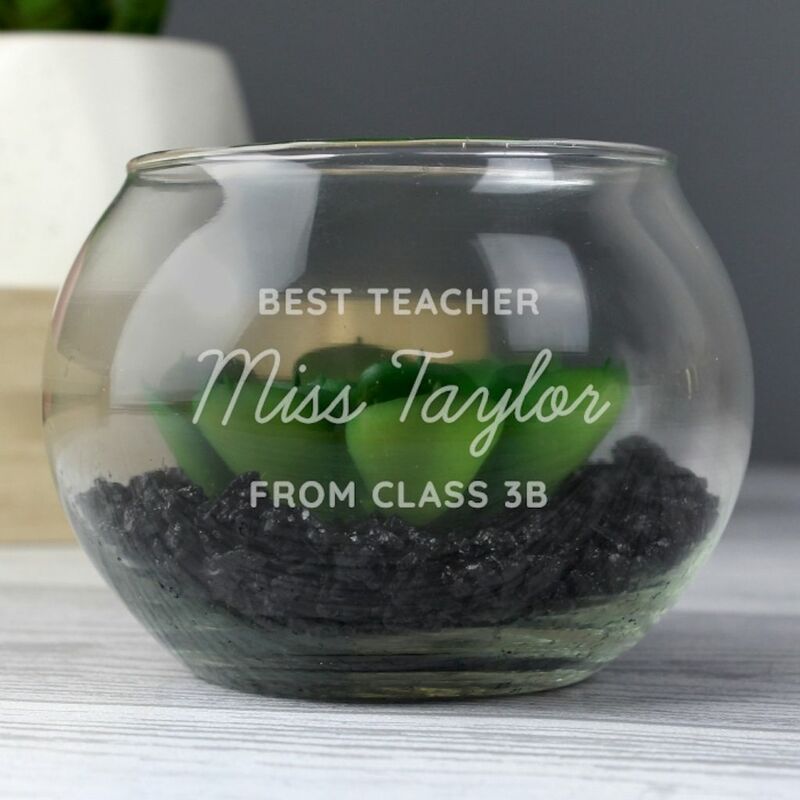 You can personalise this terrarium with 3 lines of text, with up to 20 characters per line. Please note that line 2 is mandatory and must be used. Lines 1 and 3 will appear in fixed upper case. Line 2 is case sensitive and will appear as entered. Please avoid entering your text in block capitals on line 2, as this may make the personalisation difficult to read.